Hi everyone! 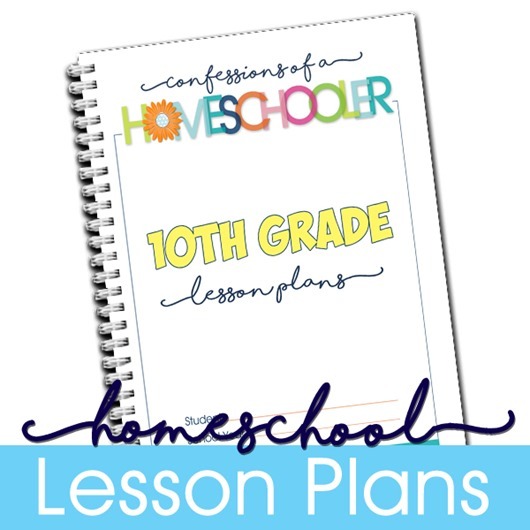 My 10th Grade Homeschool Lesson Plans are now available! While sometimes I prefer to be spontaneous, other times I think it’s better to have a plan to follow so things don’t get missed or left behind. 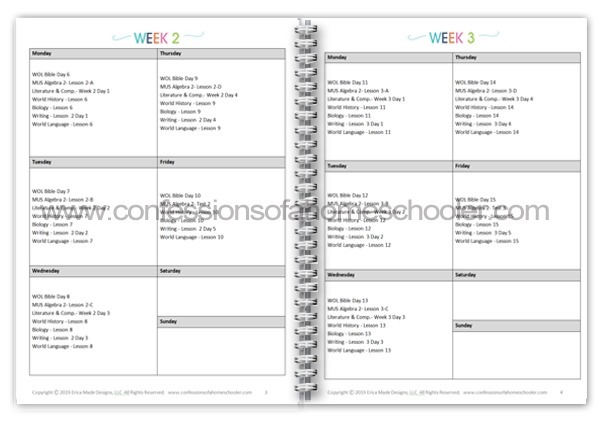 Planning ahead is especially important if you’re a new homeschooling. Having a good plan will help make your days less chaotic and stressful, while giving you the comfort of knowing you’ve done everything you need to do on a daily basis. And having a good plan will also allow you to be more flexible when something fun arises! I always hear from parents worrying about whether or not they’re doing enough, so I wanted to give you a head start with pre-made lesson plans that are easy to follow and include everything you need to complete 10th grade. That said, each states requirements can vary, so please make sure to check with your local school district to make sure you are meeting your states requirements. 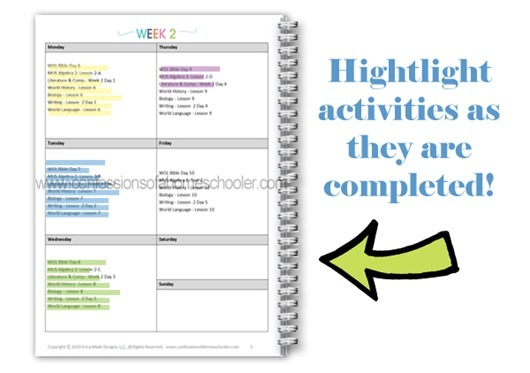 Lesson planning can be overwhelming, but by making it through each day, week, and month, we can finish the year strong knowing we’ve completed everything we need to do to move our child on to the next grade level with confidence! I’ve done all of the hard work of planning and organizing your day for you, all you need to do is print them out and follow along! 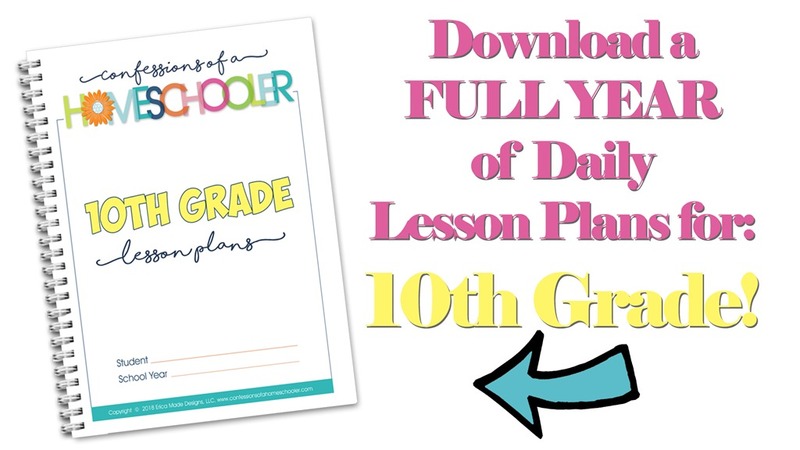 I always get requests for our exact lesson plans for different grade levels, and so I’m so excited to be sharing my homeschool lesson plans with you all! 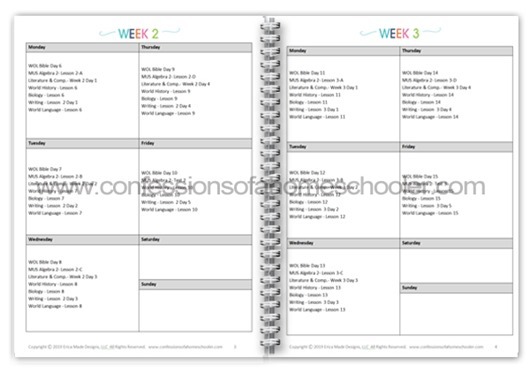 My daily lesson plans include everything you need to do to complete an entire year of eighth grade homeschooling including daily assignments for 34 full weeks of homeschool lessons. They include daily learning activities for Bible, English, Math, Literature, Science, History, Foreign Language and Writing. **These plans include main subjects to complete tenth grade level work with your student. That said, you’ll want to check with your local state homeschooling requirements to make sure you are following their requirements as states can vary. 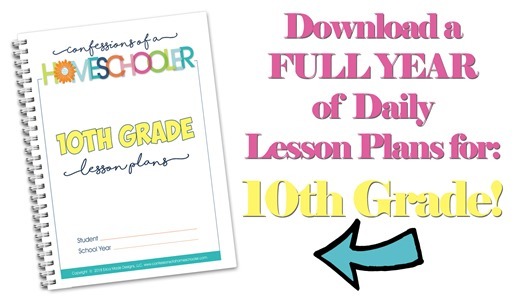 –>> Get my COMPLETE HOMESCHOOL DAILY LESSON PLANS for 10th Grade here! **PLEASE NOTE: These plans include main subjects to complete tenth grade level work with your student. That said, you’ll want to check with your local state homeschooling requirements to make sure you are following their requirements as states can vary.